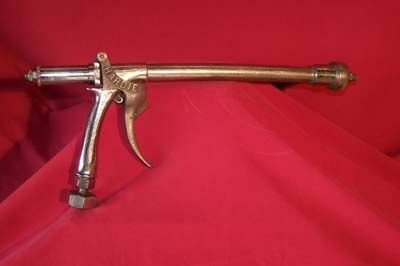 Hardie High Pressure Nozzle (U0436) :: Fenton Fire Equipment Inc.
An Interesting piece of fire history, an antique Hardie High Pressure Fire Booster Nozzle. 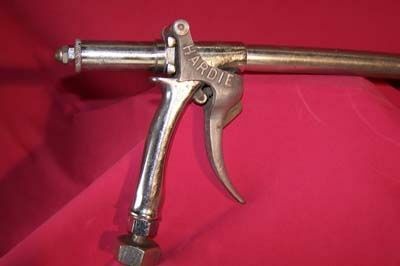 I know these were used in the 40's and 50's. The handle lock and mechanism all move freely. It definitely has seen some good action in its day.